Traditional cultures around the world have long celebrated the healing properties of marijuana. But it wasn’t until the early 1970s that segments of the western medical community first advocated the use of cannabis and its derivatives for disease relief. And it was the condition known as glaucoma that opened the door to this acceptance. Glaucoma describes a group of diseases that can result in vision loss and blindness. According to the Center for Disease Control and Prevention, some 3 million Americans are afflicted by glaucoma; it is currently the second leading cause of blindness worldwide. The most common form of the disease, open-angle glaucoma, is characterized by an increase in intraocular pressure (IOP), which is a measure of the fluid pressure within the eye. Over time, this increased pressure may damage the eye’s optic nerve and create visual field loss, which cannot be reversed. As a result, current glaucoma treatment focuses on early detection and the lowering of IOP. First indications that marijuana might be beneficial for the treatment of glaucoma came from a news-making study published in the Journal of the American Medical Association in September of 1971, which reported on the observed reduction in IOP occurring after healthy young adults smoked marijuana. Subjects in the study experience 25 to 30 percent lowering of IOP after smoking marijuana. 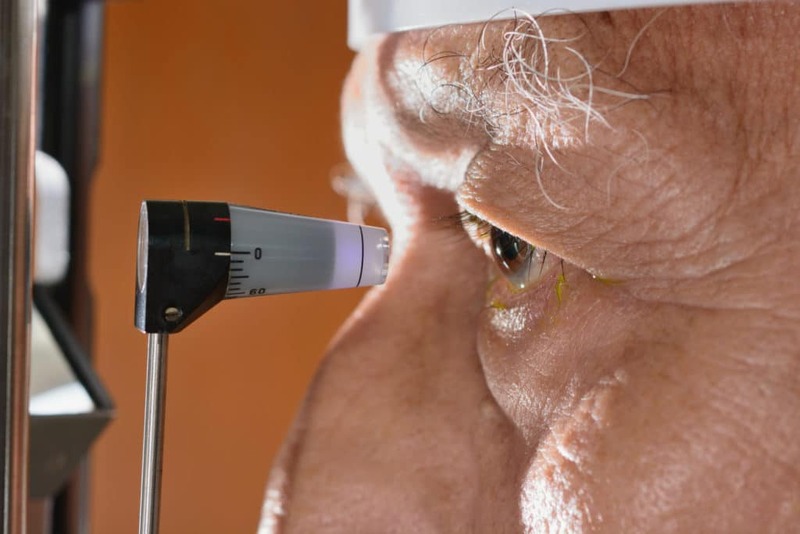 This finding was significant, as it is has been reported that a 25 percent lowering of IOP may delay the progression of glaucoma by 45 percent. Marijuana inhalation was accompanied by increased heart rate and decreased intraocular and blood pressure in 18 subjects with heterogenous glaucomas. The hypotensive effects appeared in 60 to 90 minutes as the decrease in intraocular pressure (IOP) appeared to follow the decrease in blood pressure. In addition to any local effect, the mechanism of lowered IOP may also involve the decreased pressure perfusing the ciliary body vasculature as a result of the peripheral vasodilatory properties of marihuana. It has been definitively demonstrated, and widely appreciated, that smoking marijuana lowers IOP in both normal individuals and in those with glaucoma, and therefore might be a treatment for glaucoma. The specific mechanisms by which marijuana lowers IOP is not fully understood at this time. It was long assumed that marijuana’s predominant ability to lower IOP was a direct function of it’s vasodilation effect, resulting in a reduction in blood pressure, and a corresponding reduction in IOP. But an increasing body of research points to additional mechanisms at work, including the direct role of ocular CB1 receptors in the process. These receptors exert well-documented influences on many aspects of the human nervous systems through activation of the endocannabinoid system. The CB1 gene encodes a functional protein which is detected in its glycosylated (63 kDa) and unglycosylated (54 kDa) form in the same areas by a specific purified antibody raised against the amino terminus (residues 1-77) of the CB1 receptor. These results further support the proposed role of the CB1 receptor in controlling intraocular pressure, helping to explain the anti-glaucoma properties of marijuana. There is evidence from research in the brain that there may be properties of the cannabinoid components of marijuana that protect nerve cells like those in the optic nerve. This raises the hope that marijuana or related compounds could protect the optic nerve not only through IOP lowering but also through a neuroprotective mechanism. One of the effects of glaucoma is degenerative optic neuropathy resulting in the loss of retinal ganglion cells (RGC). Research has indicated that RGC losses may continue even with the lowering of IOP. This has led to the search for neuroprotective agents that might slow RGC loss. In glaucoma, the increased release of glutamate is the major cause of retinal ganglion cell death. Cannabinoids have been demonstrated to protect neuron cultures from glutamate-induced death. The neuroprotection by THC and CBD was because of attenuation of peroxynitrite. The effect of THC was in part mediated by the cannabinoid receptor CB1. These results suggest the potential use of CBD as a novel topical therapy for the treatment of glaucoma. Classic cannabinoids such as delta-9-THC, HU-211, and CBD have antioxidant properties that are not mediated by the CB1 receptor. As a result, they can prevent neuronal death by scavenging toxic reactive oxygen species produced by overstimulation of receptors for the excitatory neurotransmitter, glutamic acid. The full extent of marijuana’s neuroprotective qualities, and its ability to slow RGC loss remains a subject of study, and CannaMD will continue to report on new findings as they are reported. To see if you qualify for glaucoma-related medical marijuana treatment, complete a free application today!